I get it: you’ve spent ages mastering these beautiful moves. They look great. They go great with the music. And they feel great. Except that’s not always true. They don’t feel great if your follower can’t do them. There are few things worse than a dance that is too far above the follower’s level. For the follower, it’s awful. They feel nervous, self-conscious, and like they’re a disappointment to dance with. At the start of each new move, the only thing going through their head is “please let it be something I can follow correctly”. And for you, the lead? You end up disappointed because none of your moves are working. Your follower will do something that’s unexpected or move too slowly and so you won’t be able to execute your next move. You won’t get to play with the music or be creative. Of course, even when dancing to someone’s level, sometimes a move will be misinterpreted or poorly executed. But when this is happening all dance long, it’s unpleasant and unsafe. And nobody wants a dance that bad. So, how can you avoid it? Well, I’ve encountered this problem as both a follower and lead. Here are the three things I think all leads should try to do. Start with the basics. As leads, it’s easy to feel like you have to do impressive moves all dance long. But as a follower, a basic with good technique, good connection, and good musicality is delightful. So, start with those basics, get used to how your partner moves, how they connect with you, if they have a good frame and tension… Let them also get used to you and how you lead. Build up. Slowly, start putting in slightly more challenging moves. Put in a turn, then a slightly more complex turn, then a single spin. Don’t make the mistake of assuming that, just because a follower has good technique in a basic turn, they’re ready for that triple spin you so badly want to do. Confirm it first. Work out your follower’s strengths and weaknesses. A salsa dancer might be great at spins but less confident with shines, a kizomba dancer might thrive on urbankiz but struggle with (or dislike) tarraxinha, a bachata dancer might love those neck rolls but not know dominicana. Adjust your choreography accordingly. The dance demands that they bring all of their focus, whether it’s related to technique, connection, musicality, or even all three – but when they do this, they can follow it. They flounder from move to move, knowing that they’ve done it wrong but not knowing how to correct it or simply being too off-balance from the previous move to do the next one well. The first dance is thrilling. It will keep your follower coming back all night long. But the second one? Your follower will spend the entire song feeling worried – and this is the opposite of a good dance. It’s also worth mentioning that followers don’t always want to be challenged in every dance. Sometimes, your partner is tired. Sometimes, they’re not in the mood. Sometimes, they just want a comforting dance that will allow them to relax. Pay attention to your follower’s body language and facial expressions. Learn how to reassure your partner. If you end up scaring them? Nobody’s perfect; we all mess up sometimes. But all you have to do is tone it down. And then, reassure them that you like dancing with them. It’s that simple. Oh, but do it in a way that it feels like you really do like dancing with them. Don’t say: “You’re the only one who dances bachata sensual. Everyone else is stiff.” Say: “I like dancing bachata sensual with you. You have great body movement.” Because the first option makes the follower feel like they’re the least bad of a bad bunch, while the second one makes them feel like a good dancer. Again, I’d like to emphasise that yes, you can challenge your partner, but only to a reasonable amount. However, let’s say that you’re a more technically advanced dancer than your follower. Does that mean that you have to be bored? Absolutely not! But fancy moves aren’t the only way in which you can push yourself. Focus on your creativity, musicality, and choreography. How much variety can you create in a dance, even if your follower doesn’t know many moves? Work with their strengths to lead a fun and engaging dance, for the both of you. I know that this is hard. It requires a certain level of dance expertise and experience to be more creative. You might not be able to do it well just yet. But be patient with yourself – and, even more importantly, don’t take this as an excuse to not try. Instead, do your best and celebrate your small successes. Perhaps you’re a cross-body dancer, not a Cuban one. Maybe your go-to Brazilian zouk style injects hip hop influences. 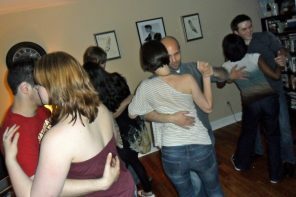 Or it could be that you prefer kizomba to urbankiz, or bachata moderna to bachata sensual. Well, no problem – you’re the lead, right? You can dance the style you like. But if you want to be a considerate lead, you may find you sometimes need to dip into other dance styles. And what’s more, you might need to do more than just dip your toe. You might need to learn enough basic moves that you can lead someone in a whole dance. Again, I’m not saying this is easy. Like everything in dancing, it will take time, lessons, and hard work. However, in my opinion, it’s worth it. Because one day, you will dance somewhere with a different dance style. And while the experienced followers may enjoy the challenge of your “unusual” moves, the less experienced ones will struggle. Do you really want to make someone think “I thought I was a good dancer, but I guess I’m not”? For beginners, familiar moves are comforting. It reassures them that they can dance this song with you. And so, it’s helpful if you know a reasonable range of basic moves across the different styles within your chosen dance. Because when you dance, you don’t want to convince your follower that you dance great. You want to convince your follower that you dance great together. 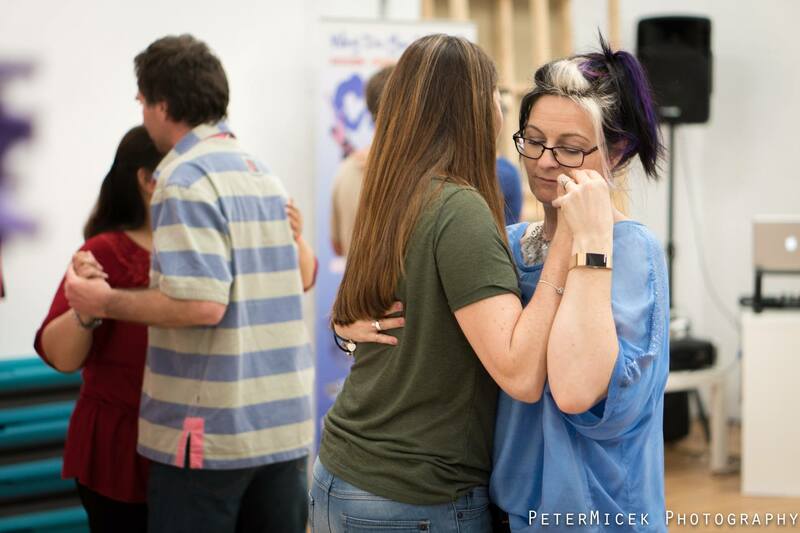 This is all very helpful and the idea of social dancing is to make your partner feel good no mater what their skill level is. So the idea is to expand the herd of dancers by giving more people rewarding dance experiences. At all times I try to match up with my partner and will dance a mostly straight basic if its their first night of dancing. If you are a better dancer, this is quite enough to do as a lower level dancer will learn more from your good technique than from dancing with ten other beginners with marginal technique. 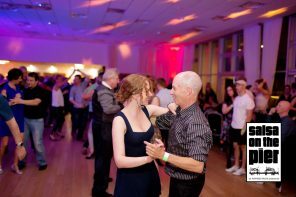 Ideally all well done social dances are improvised from the best skills of both dancers and this is only possible with gaining good social dance experience and taking care for the communication and smoothness of the lead. It is only social dancers who will travel to a different city, meet up with a dancer they have never met before and expect a great dance with that partner the first time. That kind of broadness, skill, and experience is one way in which good social dancers are often better than competition dancers who practice a lot of choreography with a small group of partners and are short on social dance experience. So its a needed skill to be able to recognize your partners dance level and work with it, not to mention that its very encouraging to them. Some things experienced dancers can do are to understand the regional language of lead and follow, have some easy to follow moves, be able to connect your movements in any combination so you can adjust to the style of other dancers, and be smooth and easy to read in communications. If you are easy to read for a beginner and can accommodate their recently learned dance moves, this skill will also build confidence with more experienced dancers. Thanks for the response, David! 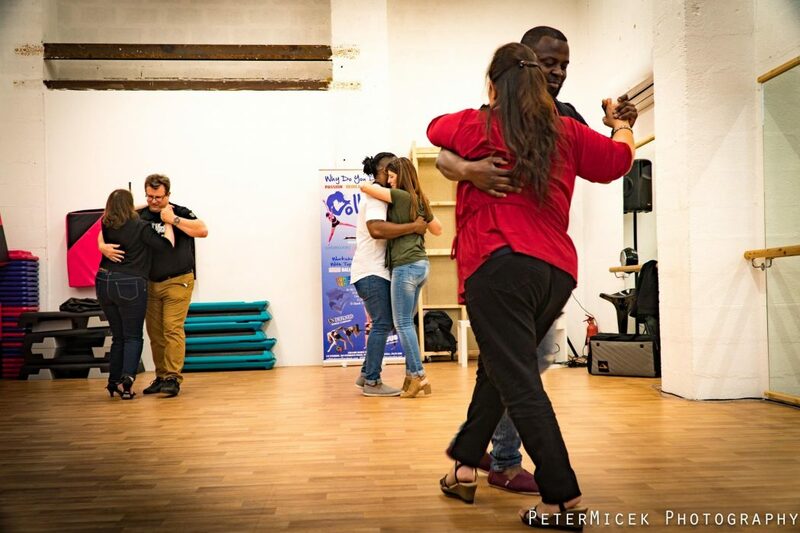 I completely agree that beginners learn a lot from doing the basics with higher-level partners, and also that the beauty of social dancing is travelling to a different city and having a great dance with someone you’ve never met before. Those are some really useful tips from you, as well! Thanks! While I appreciate the sentiment in this post, my question is why is the finger pointed on the guy? As someone who is a veteran in one dance scene and novice in another I see first hand the experiences in both worlds and both have their downsides. As a veteran in dance x, everyone wants to dance and even when I tone it down to just basics, the feel of the dance is missing and it’s not enjoyable. As a beginner in dance y, noone wants to dance with me or scramble to get away after a dance. In my experience follows dont really want to dance with you if you are beginner and wanting to learn. So I earnestly ask you this… why should the responsibility of a good dance be squarely be put on the shoulders of a good lead? Why not also encourage follows to be patient with beginner leads? If you had an article pointing out both sides I would not be so opinionated but I see this viewpoint as unfair. First of all, this article isn’t about what “the guy”; it’s about leads. For example, sometimes I (a woman) lead my male friends. I also believe that we learn a lot dancing with beginners, whether leads or follows. As follows, it gives us the opportunity to practise our basics but also pushes us to recognise leads that aren’t always so clear. However, improving the dance world is a huge topic and that angle isn’t the focus of this particular article. It would be impossible to cover everything I believe about dancing, or even just about following and leading, in just one piece. Finally, I’m sorry to hear that you felt that this article was accusatory. It was intended to provide advice for leads eager to improve their experience of dancing with followers who have less technique than them, not to shame anyone. In all respects, though, thank you taking the time to engage with my article! As I said, you raise a valid point and I appreciate you taking the time to share that. You can’t lead what the follower does not know. – This simple truth follows from the basic communication model – the meaning of a communicated signal is not contained in the signal, but is a matter of prior mutual agreement. Example: If I write the word “Katze” here, then you either know already what I mean by that, or you don’t. You can’t understand it just by the word itself. So after sending your lead signal, you have to listen to the follower’s answer signal. Continue only after a positive verification. Otherwise redefine your lead until you find something that gets you a positive verification. “So after sending your lead signal, you have to listen to the follower’s answer signal. Continue only after a positive verification. Otherwise redefine your lead until you find something that gets you a positive verification.” – Yes! Exactly! Thanks for the comment, Marius! Thank you! Yes, you are right and the explanation is that your signal includes a part that the recipient can decode to something he/she knows and within the context one can conclude what “Katze” means. Very true! And a beautiful way to look at dancing (and friendships). For the follow, they can participate in the dance with a beginner by bringing the new lead’s hand motions into a better and regular form. The lead should eventually pick up on this when they achieve enough position awareness in leading to recognize the difference in position. While everyone appreciates a well done and precise follow or lead, getting there requires practice and experience. We should provide motivation by making our partners welcome dancing while they develop the skill necessary for being a great dancer. “While everyone appreciates a well done and precise follow or lead, getting there requires practice and experience.” – Definitely. Or, to put it another way, we have to be a poor dancer in order to one day be a good dancer. Therefore, as long as our partner tries to dance safely and respectfully, we should try to be patient, considerate, and encouraging. Dancing is like a good conversation where both parties are enjoying a creative exchange of ideas. It is only difficult when one decides to become the lecturer & has no patience to listen to their partner.